A dynamic, privately held real estate investment firm is expanding their portfolio and looking for an experienced, success driven, Asset Manager to join their team. 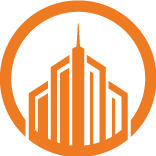 The Asset Manager is responsible for driving value and for the decision making on assigned commercial property portfolio by overseeing leasing, 3rd party property management, capital improvements, TI, reporting to executive leadership and any other necessary tasks that help the firm execute on each properties business plan. The portfolio consists of commercial assets, which include Class B Industrial (single & multi-tenant), Urban-Core commercial (office/retail) and other Class B Office/Flex assets. Minimum 10 years of successful Asset Management experience with a portfolio similar to 750,000 sq. ft, consisting of roughly 100 tenants.